As I shared earlier this week I’ve been coming home with lots of goodies lately. 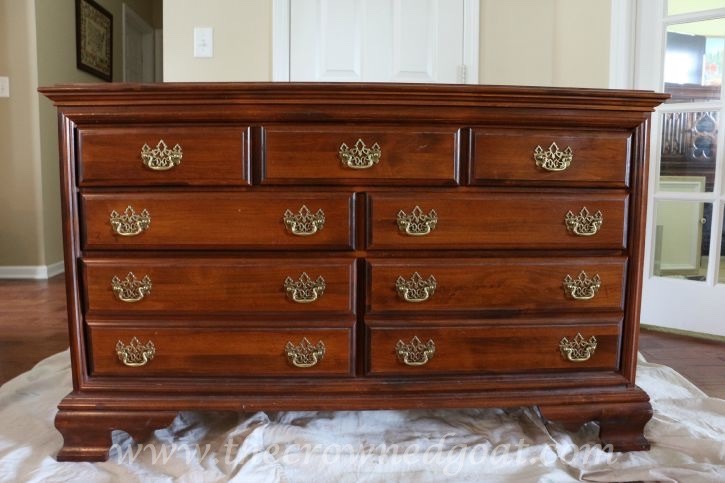 I went out again last Thursday and this dresser was one of several pieces of furniture that came home with me that day. 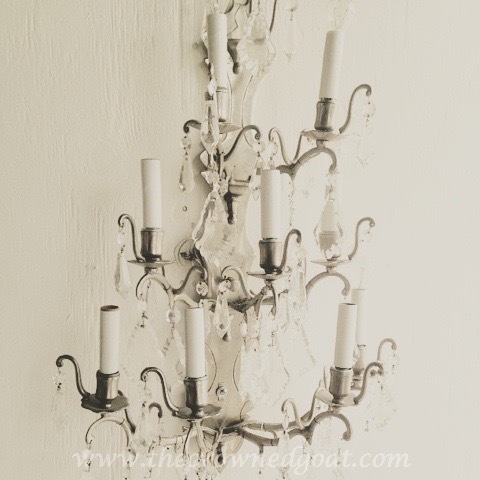 But I secretly wanted to bring home this chandelier sconce. There were two of them. Oh my word, look at all of those crystals! Gah! 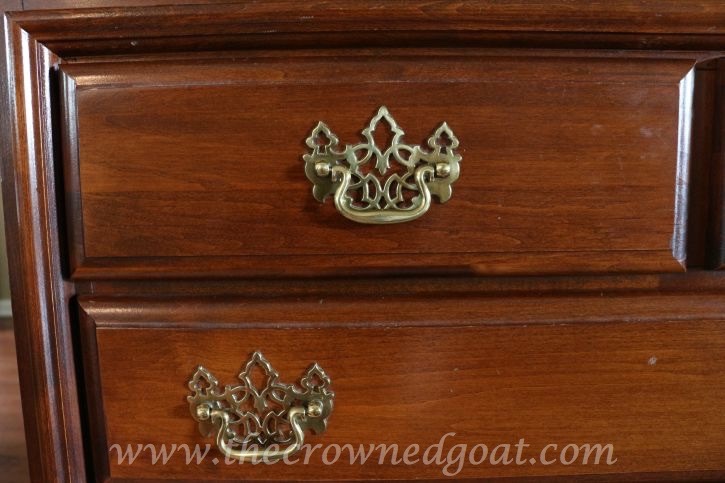 The dresser was in good condition save for a bit of scratching on the top and the drawers. The style is very traditional and if were in my parents home I wouldn’t have painted it. But this is for my booth at The Pickers Market and I have a lot of customers that love coastal home décor. In fact, there is only one piece of furniture painted in Duck Egg left in my booth space. 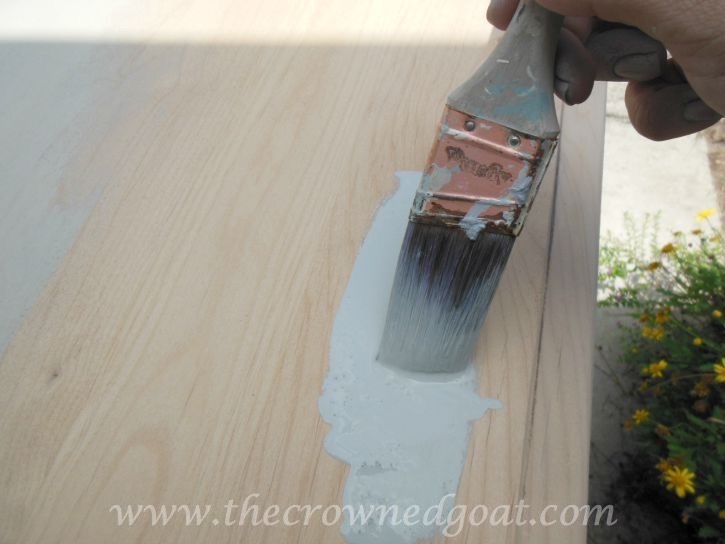 I’ve been making my own custom colors for a while now and that’s how I approached this dresser too. 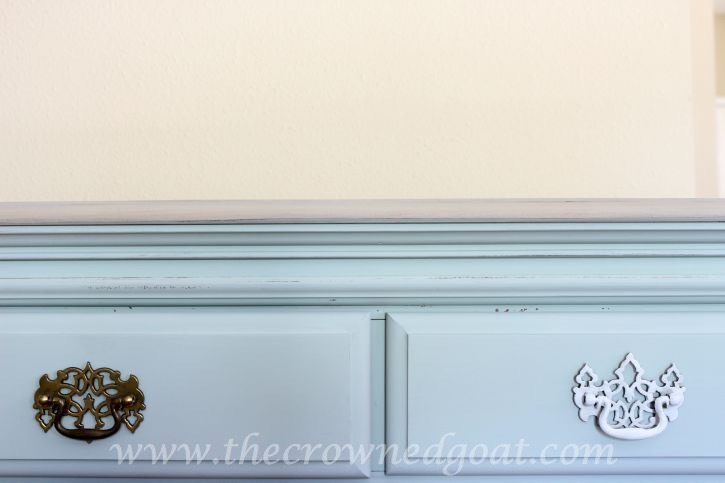 I started with Annie Sloan’s Old White and kept adding Duck Egg until I found the color I wanted. After I had painted the body of the piece, I realized I didn’t want to paint the top. I wanted to strip the top and stain it a driftwood color. 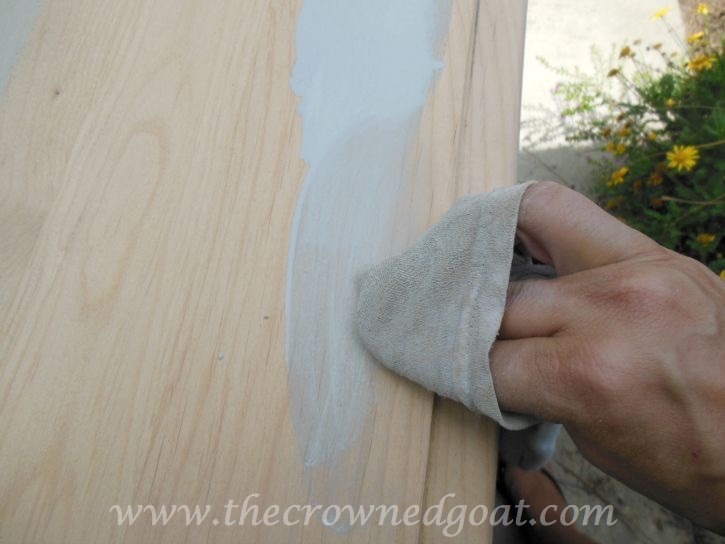 I used 40-grit sandpaper and an orbital sander. 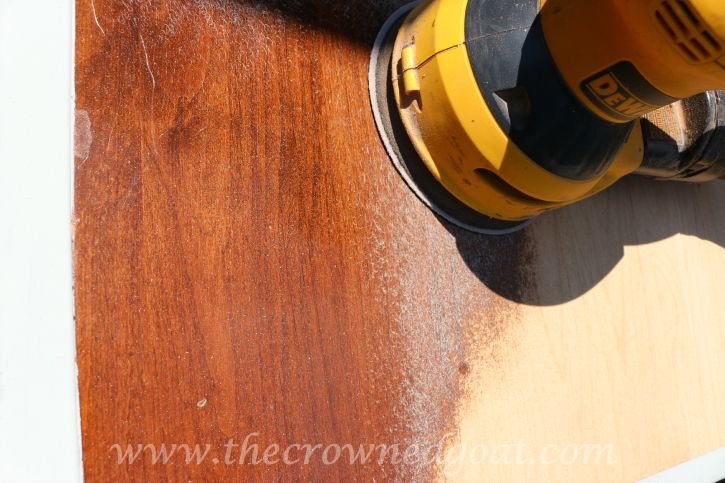 Make sure you wear protective eyewear because you don’t want to get bits of wood, varnish and stain in your eyes. Yikes! 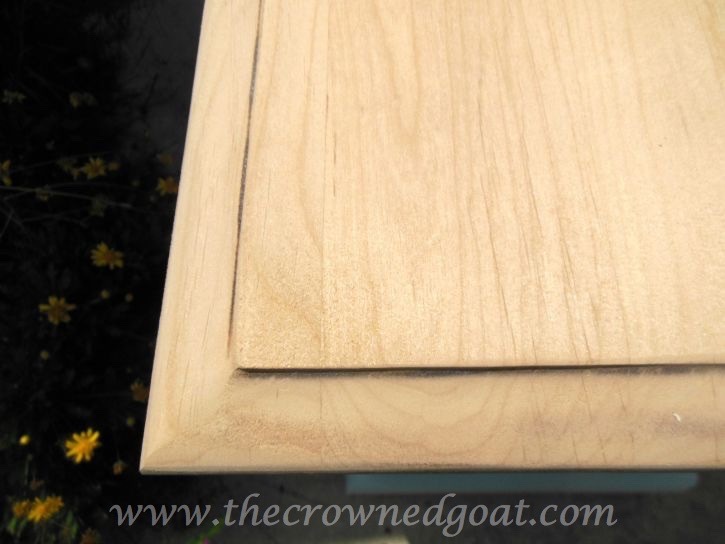 The 40-grit sandpaper is fierce but it also leaves the wood really rough. 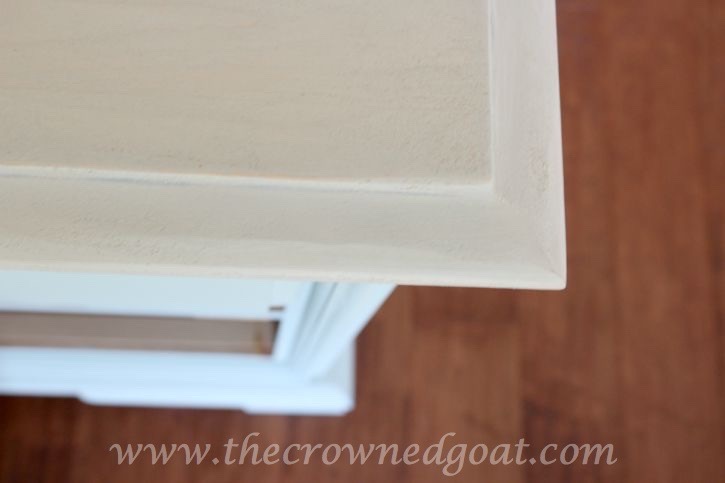 Make sure you follow up with an 80 and 220-grit sandpaper so the top of your dresser will be smooth. It turns out I didn’t actually have stain the color of driftwood so I had to create my own using a combination of French Linen, Old White and Paris Grey. 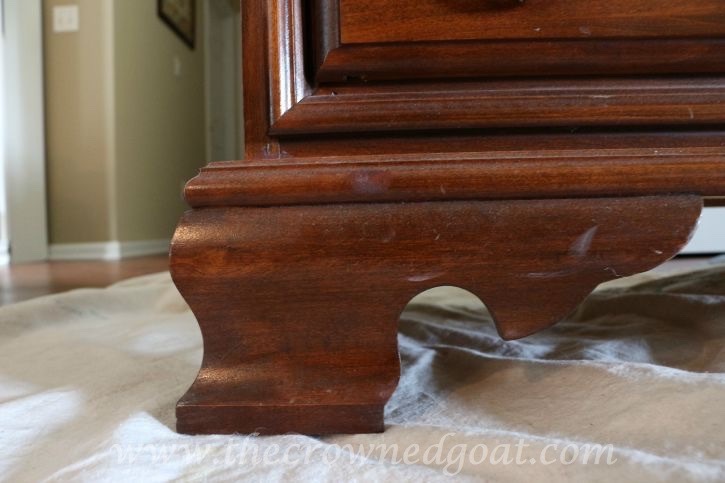 I watered down the mixture a lot because I wanted to see the wood grain once I had applied the paint to the dresser. 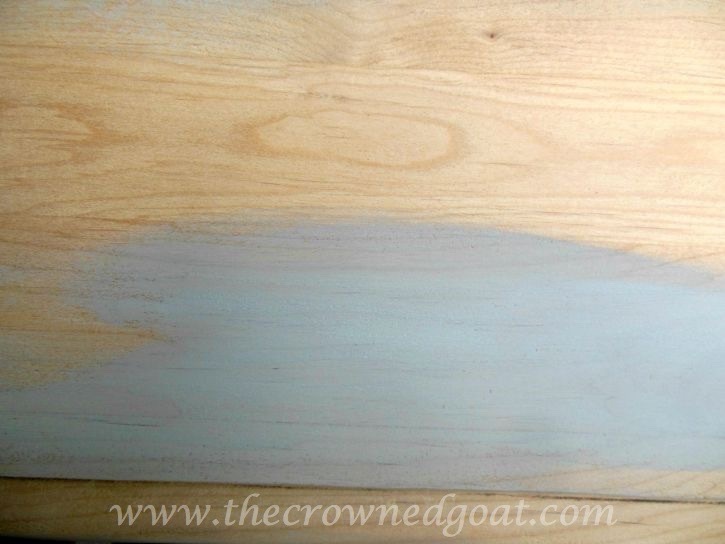 and while the paint was still wet I took an old t-shirt and rubbed the paint directly into the wood. This is the effect it gives the wood grain. Pretty, right? Just like driftwood! With the driftwood colored top and the pale duck egg body, the color of the old hardware wasn’t really working for me. So I painted the hardware with Pure White. Such much better. I was out of furniture paste wax and decided to seal with Varathane Polyurethane in a matte finish. 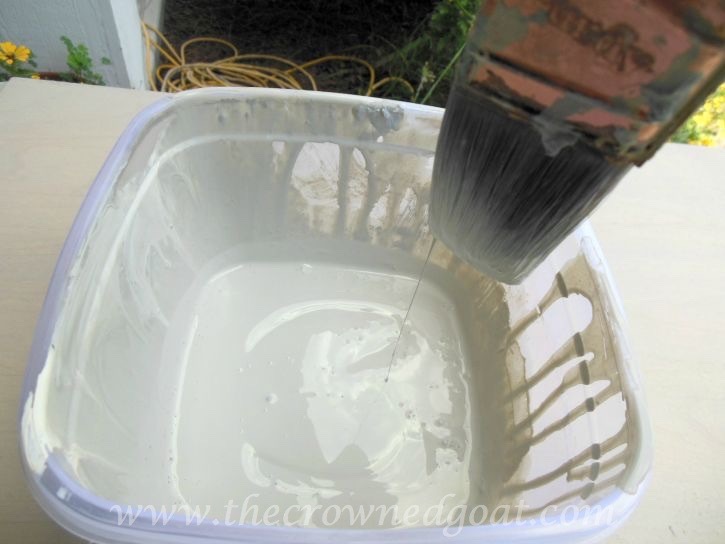 It’s the first time I’ve used that product on chalk painted furniture and I really liked it. 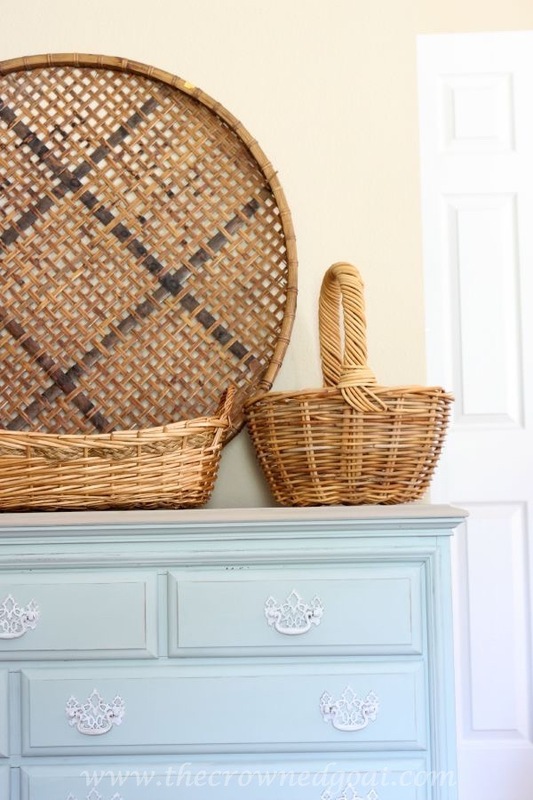 This piece has already made it safely to my booth at The Pickers Market, as have these baskets. 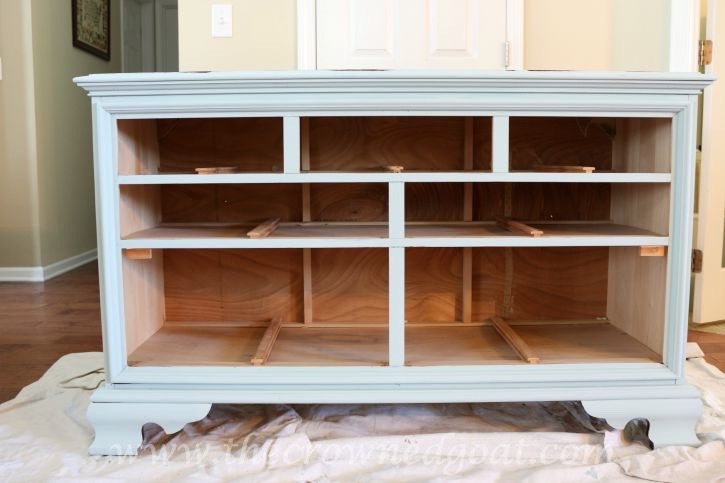 Honestly, this dresser can be used in so many different ways. I hope my customers are as excited about it as I am. 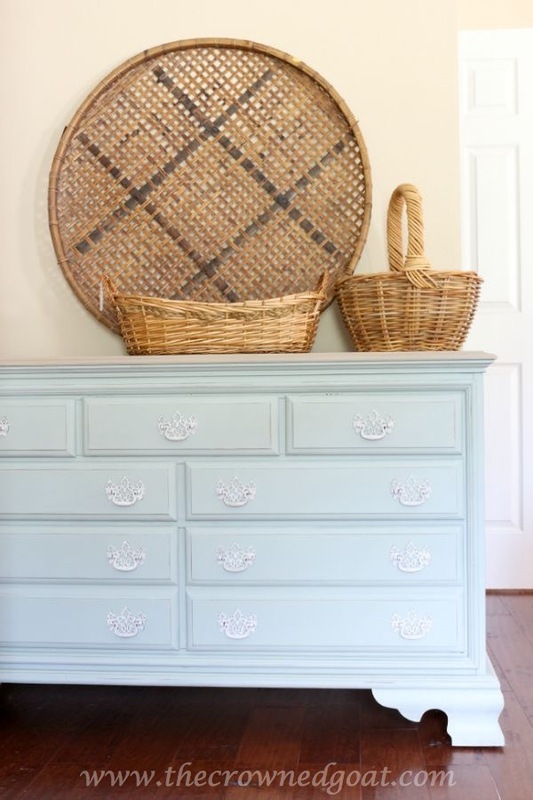 I love how this dresser came out, Coco! 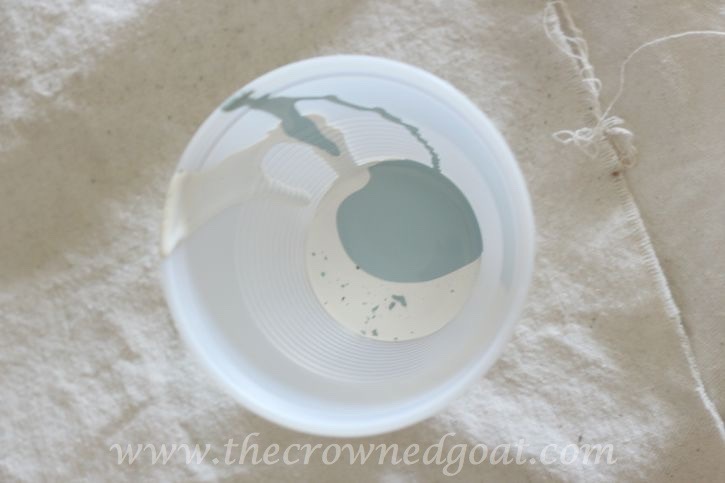 That shade of blue is so pretty and the drift wood inspired top is gorgeous!! Great job!! 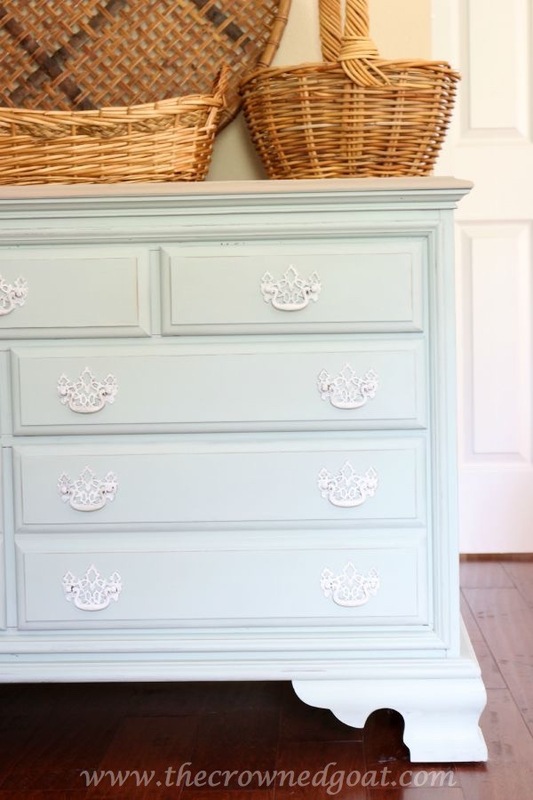 This dresser is gorgeous! Love the color, the top and the finish. Great job! It’s easy to see why your furniture sells so quickly!